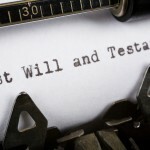 For most people, a Last Will and Testament serves as their entire initial estate plan. Over time, however, the need for a more comprehensive plan arises as assets increase in value and the need to protect a family becomes important. 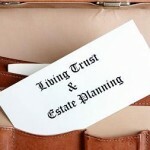 At that point, additional estate planning tools are usually incorporated into an estate plan. One of the most common of those tools is a trust, due in large part to the flexible nature of trusts. As with all estate planning decisions, you should consult with your estate planning attorney if you are considering the addition of a trust to your estate plan; however, it may also help you to get a head start with the creation of your trust by contemplating the steps involved in creating a trust. Define your trust purpose. Every trust must have at least one clearly defined trust purpose. Because trusts have evolved to the point where there is now a specialized trust to help meet almost any estate planning goal, narrowing down your goals and deciding on a clear purpose for your trust is the first step in creating your trust. 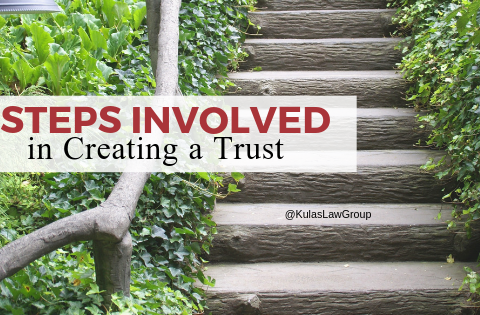 Every trust must have a trust purpose that can ultimately be referred to by the Trustee, or even a judge if necessary, when making critical decisions relating to the trust. In the event a term is ambiguous, or your directions are unclear, the trust purpose will serve to guide your Trustee (or a judge) when interpreting your intentions. Decide which type of trust you need. All trusts fit into one of two categories – testamentary or living (inter vivos) trusts. Testamentary trusts are typically activated by a provision in the Settlor’s Last Will and Testament and, therefore, do not become active during the lifetime of the Settlor. Conversely, a living trust, activates during the Settlor’s lifetime. Living trusts can be sub-divided into revocable and irrevocable living trusts. If the trust is a revocable living trust, as the name implies, the Settlor may modify or terminate the trust at any time and for any reason. An irrevocable living trust, on the other hand, cannot be modified or revoked by the Settlor at any time nor for any reason once active. Testamentary trusts are always revocable because the Will that triggers activation is always revocable until the Testator’s death. There are also specialized trusts, within those broader categories, that are used to achieve very specific goals. For example, if you are part of a blended family and you wish to provide for your current spouse while still preserving assets for children from a previous marriage, a Qualified Terminable Interest Property, or QTIP, trust might be your best choice. Select a Trustee. The duties and responsibilities of a Trustee are numerous and diverse, requiring you to spend a considerable amount of time deciding who to appoint as your Trustee. Given the importance of the job of Trustee, choosing your Trustee should be done with care. Your Trustee is responsible for managing and investing trust assets as well as administering the trust. Ideally, your Trustee should have a legal and/or financial background to ensure that he/she is capable of administering the trust successfully. Choosing a professional Trustee is something you may wish to consider if your trust is moderate to large in size and/or involves complex terms. Decide on terms and draft the trust agreement. Assuming you are working with an estate planning attorney, your attorney will actually draft the trust; however, as the Settlor of the trust you will decide on the terms to be used to administer the trust. You will use those terms to decide when assets can be distributed, how assets should be invested, and how much discretion you want your Trustee to have, among other things. As the Settlor, you can include any terms you wish as long as they are not illegal, impossible, or unconscionable. Fund your trust. Once the trust agreement is perfected, you will need to decide how to fund the trust and transfer those assets into the trust. Almost any type of assets can be used to fund your trust; however, the trust purpose and type of trust created may dictate the type of assets you use. After deciding which assets will be used, those assets must be legally transferred into the trust. This can extremely simple, as is the case when cash is used, or fairly complex as is the case when real property is being transferred into a trust. For additional information please join us for an upcoming FREE seminar. 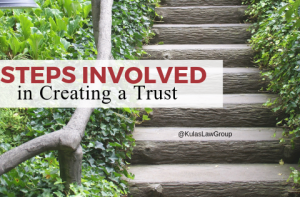 If you have specific questions or concerns about creating a trust, please contact the experienced Florida Trust attorneys at Kulas Law Group by calling (772) 398-0720 to schedule an appointment. 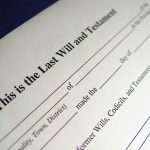 Can Probate Attorneys Help Me Contest a Will?